One beat. One dance for the world. This is the theme of the Sinulog Festival which happens every third Sunday of January in Cebu City. It is celebrated in honor of the Child Jesus, otherwise known as Señor Santo Niño. Nine days prior to the festival itself, novena masses are held at the Pilgrim Center fronting the Basilica Minore del Santo Niño. The church that can be seen now is made of stone which was completed in the early 18th century. It replaced the original structure which was made of mud, nipa and hardwood. Even before January rolls in, Cebu City is already alive with commercial stalls that line the culmination of the parade route. Goods often sold are trinkets, clothes, utensils, footwear, bags and other accessories. Stalls open as early as seven in the morning and close shop 'til midnight. Vendors come from different parts of the country. The Cebu Heritage Monument, located near other landmarks, is a tableau of Cebu's history. A fluvial procession that begins early in the morning of Saturday sails from a neighboring city. It reenacts the baptism of Rani Juana and Rajah Humabon, the first couple of what is now Cebu City. When Sunday comes, the major thoroughfares of the city are closed and the festivity reaches a feverish pitch. Participants of the parade are categorized as the Sinulog-based and free interpretation dance contingents, the higantes and the floats. Dance contingents come from different organizations, barangays in Cebu and other parts of the country. Since the parade is also a contest, contingents battle it out based on their performance, costume, props, choreography, Sinulog musicality and overall concept. ​Sinulog is not just a religious event, but a cultural one as well. Cebu City's attractions are located near each other. 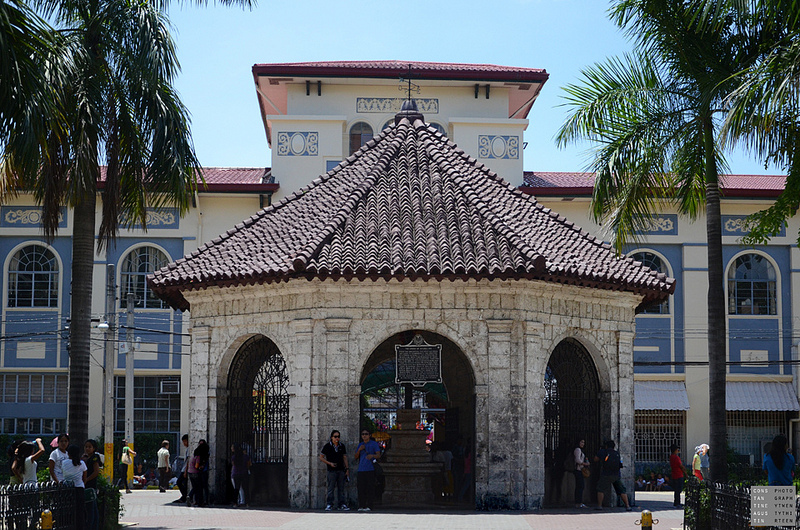 Magellan's Cross is just a stone's throw away from the Basilica. Magellan's cross marks the site upon which a cross was placed by Spanish explorers, headed by Ferdinand Magellan, on Philippine soil. A block away from the church is Plaza Independencia and Fort San Pedro. 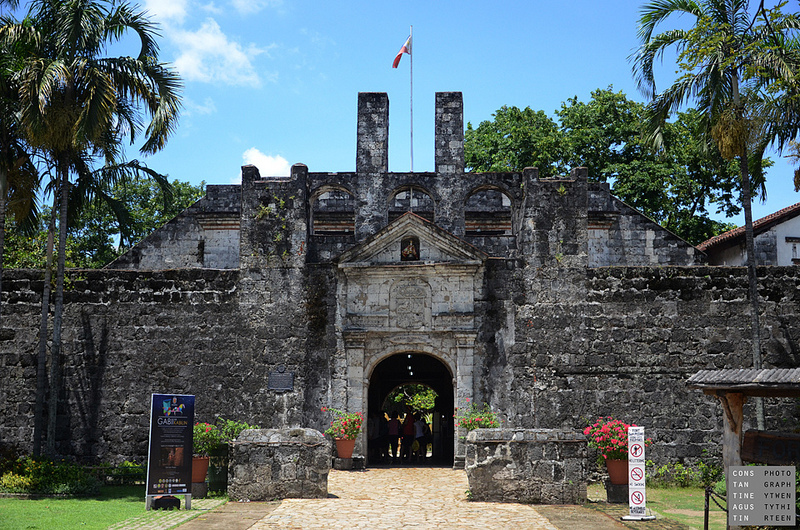 Fort San Pedro is a military garrison erected by the Spanish, using Cebuano labor. It was built to keep off Muslim marauders. On the other side of the Basilica, just three blocks away, is the oldest street in the Philippines -- Colon. 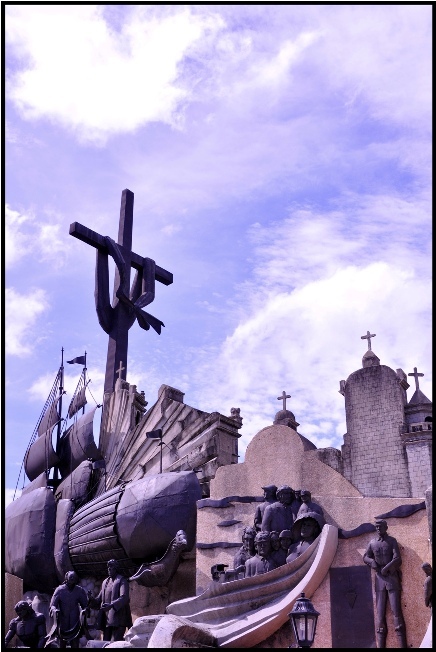 A few meters away is the Heritage of Cebu monument which is a humongous tableau of sculptures made of bronze, steel, brass and concrete. In the opposite direction is the Rajah Humabon park, with a sculpture of Rajah Humabon. The city also houses several museums, such as Casa Gorordo, the Cathedral Museum of Cebu (Archdiocesan Museum), Museo Sugbo, 1730 Jesuit House, Yap-Sandiego Ancestral House, Rizal Memorial Library & Museum, USPF Rizaliana Museum and the USC Museum. You can join the Gabii sa Kabilin (Heritage Night) to visit Cebu's museums and heritage sights; it takes place every last Friday of May, from sundown 'til midnight. Magellan's Cross, fronting Basilica Minore del Sto. Nino. The facade of Fort San Pedro. 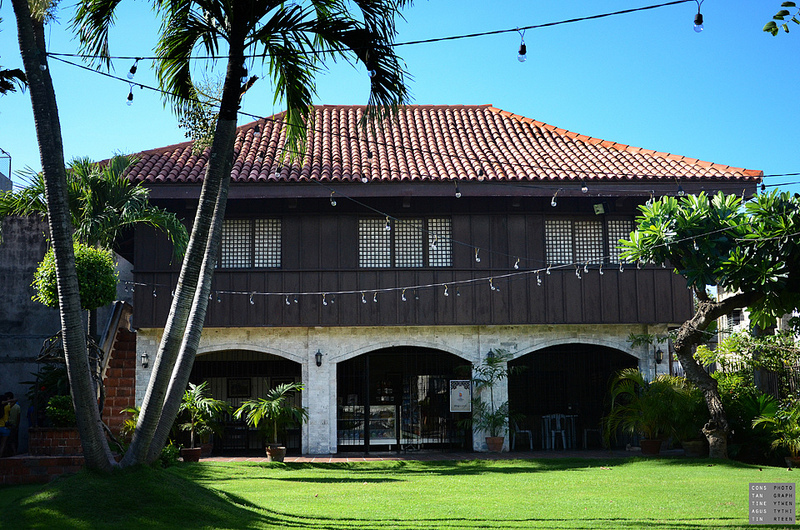 Casa Gorordo Museum -- former residence of Juan Gorordo, the first Filipino bishop of Cebu.